Summertime! It’s time to apply sunscreen to yourself and your vehicle. In the summer, UV rays are at their most intense. Sunlight and heat accelerate auto paint oxidation and fading. To keep your vehicle’s color and shine in like-new condition, regularly apply a quality car wax. A car wax provides a barrier between the paint and the sun. UV rays, moisture, dirt, bird droppings, and bugs hit the wax coating rather than directly touching the paint. Therefore the paint stays healthy. Gradually, the wax will diminish and new wax will have to be applied. Get the most out of every wax application by following the tips described in the videos below. To get all the products used by Mike Phillips in these videos, visit Autogeek.net! As seen on Two Guys Garage on the Speed Channel, this video show you how to properly apply and remove Wolfgang Deep Gloss Paint Sealant 3.0 by hand. Our premium paint sealant is easy to apply, easy to buff off and extremely easy to appreciate! Click here to see an extended version of Mike Phillips’ explanation of the “Straight Line” technique, as seen on Autogeek.net. All Flitz Products On Sale This Week Only! All Flitz products on sale through April 27, 2010! Oley, the owner of Flitz, visited the Autogeek Show Car Garage last week to film a video featuring his complete product line of aluminum, chrome, brass, copper, stainless steel, and plastic products. Flitz will be the first company featured in an Autogeek Show Car Garage video. Every month a new company will appear in its own video filmed right here at the Autogeek Show Car Garage. Flitz has been making highly effective polishing products for over 30 years. Flitz’s entire line of metal cleaners, polishes, and buffing balls simplifies detailing while giving you excellent results. Explore the Flitz line. Oley from Flitz visited Mike Phillips in the Autogeek Show Car Garage. Updated schedule for Autogeek Show Car Garage on the Speed Channel! After a break to make more videos, our Autogeek Show Car Garage segments will resume airing during Two Guys Garage starting on March 21. As always, you’ll be able to see extended versions of these videos at Autogeek.net. Learn about products available at Autogeek and get detailing tips from Mike Phillips, our resident car care aficionado. On March 27 and 28, come down to Stuart, Florida to see the real Autogeek Show Car Garage and get hands-on training from Mike. It’s all happening at Autogeek’s 5th Annual Detail Fest! Another new video by Mike Phillips is airing on the Speed Channel during Two Guys Garage! In this video, Mike demonstrates how to use the Porter Cable 7424 XP to remove swirls from black paint. Go to Autogeek for an extended version of this video! 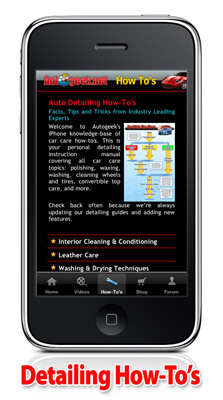 Welcome to the Autogeek.net iPhone/iPod Touch application, the best app to find facts, tips and tricks from the industry’s top Automotive Detailing Experts. Autogeek.net iPhone/iPod Touch app is your personal car care instruction app covering all car care topics: polishing, waxing, washing, cleaning wheels and tires, convertible top care, and more. Treat it like your very own detailing handbook. You’ll find tips and techniques here that are currently used by detailing professionals and enthusiasts to create automotive masterpieces. Borrow from their knowledge and turn your own vehicle into a work of art. If you’re looking for information on a specific product, you can visit our online store, Autogeek.net, via the “Shop” button. In addition to our own products – Pinnacle, Wolfgang, DP, Diamondite, and Cobra — Autogeek carries hundreds of other excellent car care products for every surface of your vehicle. Autogeek is your number one car care source for auto detailing supplies, the best car wax, car care products, car polishes, auto accessories, polishers, and car detailing tools store. Whether you’re detailing your car for a show or detailing for fun, you’ll find the best car care products to bring out the perfect finish on your car, truck, SUV, or motorcycle. 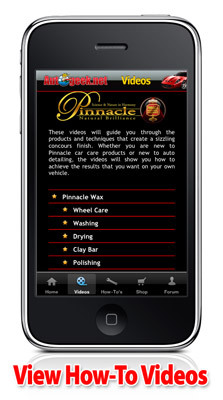 See live demonstrations of detailing products and professional techniques in the palm of your hand. These how-to videos will walk you step by step through the car care process. 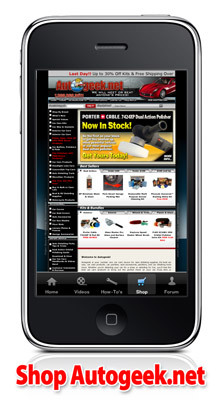 This is your resource for a wealth of information on all the products manufactured by Palm Beach Motoring Accessories. The detailing how-to’s and videos are written from the combined experiences of professional detailers and industry leaders in car care. We constantly update our how to guides to provide you with the latest tips and products as we learn about them. Follow the links throughout these guides to learn more about the products recommended and to add them to your own detailing arsenal. To put even more information at your fingertips, we have also enabled you a quick and easy way access to our online forum, AutogeekOnline.net. It’s a place for auto detailers and enthusiasts to discuss their hobby, share advice, and post pictures of their work. It’s a great way to get feedback on your specific detailing issue from others who’ve encountered the same problem. Best of all, you can log on to the forum at all hours to get the information you need to achieve the best possible finish on your vehicle. Check back often because we’re always updating our detailing guides and adding new features. 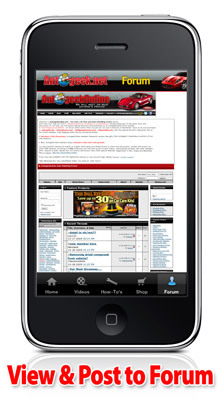 Our goal is to provide you with the best information and products for your vehicle all in one mobile place, the Autogeek.net app. In this video you’ll learn how to polish your vehicle’s paint with the Porter Cable 7424 and Pinnacle Natural Brilliance products for maximum gloss, shine and clarity. Proper polishing before you wax will ensure that the you get the maximum benefits from your final wax or paint sealant. 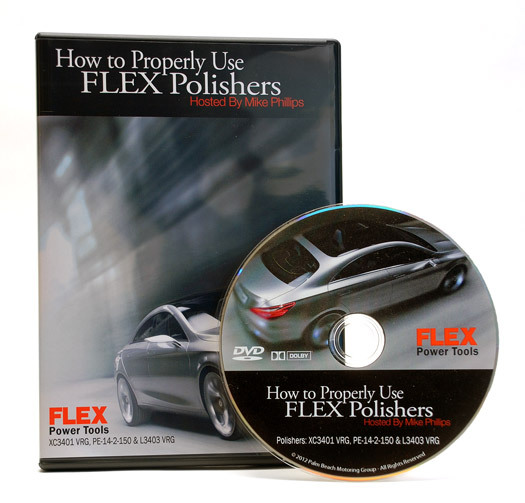 Want even more information on how to polish your car with a dual action polisher? Check out Autogeek’s Dual Action Orbital Polishing Guide!